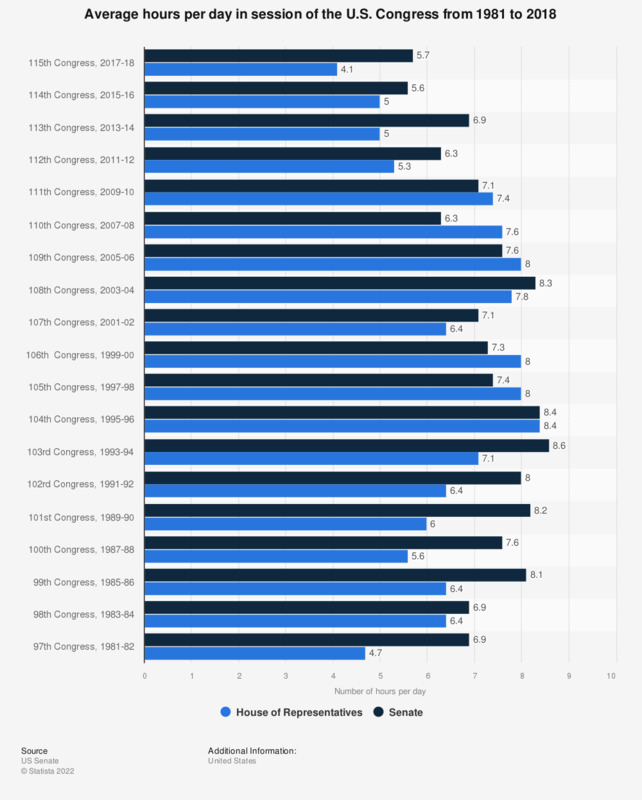 This graph shows the average hours in session per day in U.S. Congress from 1981 to 2016. During the 97th Congress, the Senate was in session for around 6.9 hours per day. Do you approve or disapprove of the way the Democrats in Congress are handling their job?